M.W.Bro. Vasudeo Jamnavihar Masurekar was born on Wednesday, 24th March 1954 in Ratnagari, also the birth place of Lokmanya Bal Gangadhar Tilak, a reformist freedom fighter. After his earlier education he graduate in Law from Bombay University and obtained post graduate diploma in Management Studies from the Jamnalal Bajaj Institute of Management. An eminent lawyer and a proficient tax consultant, having wide ranging experience as Corporate Director in diverse sectors, viz, Information technology, Pharma, Vineyard, Banking and Finance, he has an enviable career spanning well over 30 years and has helped many a corporate with their tax planning and successfully defended them in courts of law. Presently he is Director of Aftek Ltd.; Director of NKGSB Bank. Director of Mitoch Pharma Pvt. Ltd. and Vaks Pharma Pvt. Ltd.- Mumbai and is actively associated with Cabernet Vineyards Pvt. Ltd. at Nashik growing wine grape plantations. He made steady progress in freemasonry and acquired masonic knowledge by joining Royal Arch Chapter. He is the Past Z of Chapter Saurashtra No.73 and Chapter Cyrus No.14. He has held various ranks in the Regional Grand Chapter of Western India as well as in the Supreme Grand Chapter of India. He was the Grand Superintendent of the Regional Grand Chapter of Western India Superintendent Western India 2009 and holds the past rank of Second Grand Principal in Supreme Grand Chapter of India. He is the Grand Representative of the Supreme Grand Chapter of Netherlands near to the Supreme Grand Chapter of India. He has been active in Mark as well as in Royal Ark Mariners Degree also. He is the Past Master of Mark Lodge Holmesdale in the East No.2 and Mark Lodge Rajkot No.48 and Past WCN of R.A.M. Lodge Jamshetjee Jeejeebhoy No.2 and RAM Lodge Rajkot No.48. 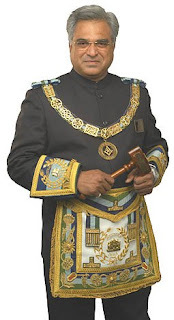 He was the Regional Grand Mark Master of Regional Grand Mark Lodge of Western India till 2009 and holds the rank of Deputy Grand Master in Grand Lodge of Mark Master Masons of India and also holds the Past rank of Senior RAM Grand Officer. Vasudeo Jamnavihar Masurekar zeal and enthusiasm for Freemasonry, coupled with his vast administrative experience and charismatic personality, has contributed in no small measure to the development and advancement of Freemasonry, particularly in the Western Region. In order to spread the message of freemasonry he explored virgin area for consecration of a new Lodge. He accompanied the M.W. 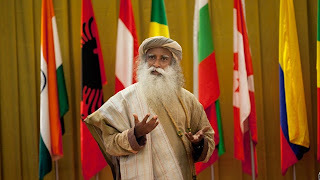 the Grand Master to attend 8th World Conference of the Grand Masters held at Paris in November, 2006. A very dedicated and loving man, a friendly person and certainly a committed and devoted Freemason, he has, by his exemplary character and behaviour, motivated his officers and the brethren to practice and demonstrate the distinguishing virtues of Freemasonry. In recognition of his yeoman and meritorious services rendered to the cause of Freemasonry in general and the Grand Lodge of India in particular,Justice Devinder Gupta, OSM M.W.Bro. Grand Master. has been pleased to award him Most Worshipful the Grand Master’s Distinguished Order of Service to Masonry. On this occasion, the Grand Lodge is pleased to present this citation at Nagpur on 21st February, 2009.